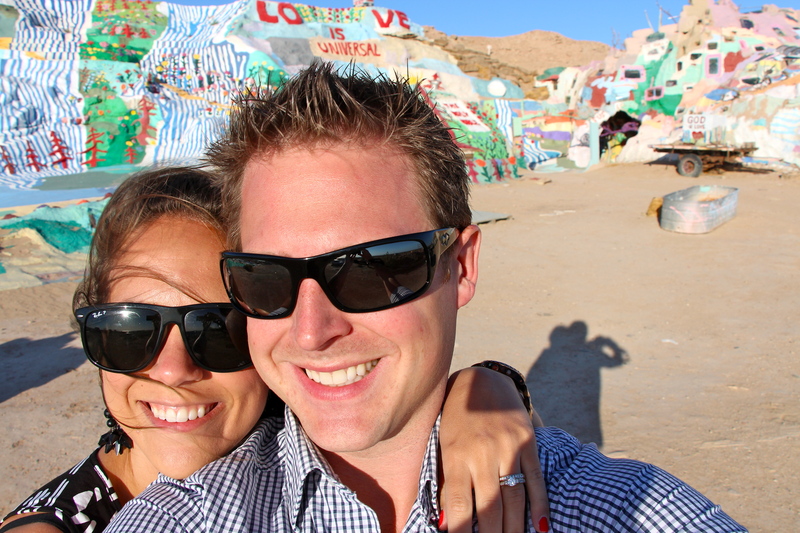 Last month, Wade and I went on a West coast road trip to California! For us East coast Canadians, this was a trip of a lifetime! I have always wanted to visit California growing up, so I was so excited when we actually got there and started exploring! 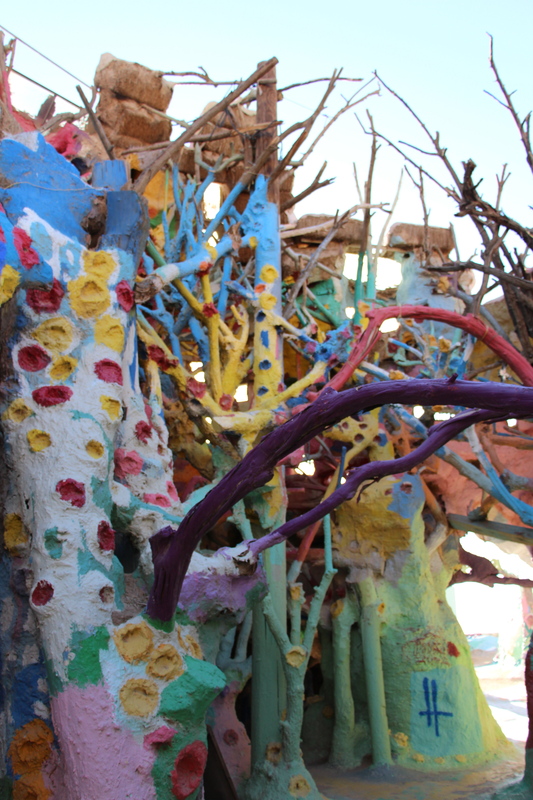 And we didn’t leave any destinations out – including Salvation Mountain! 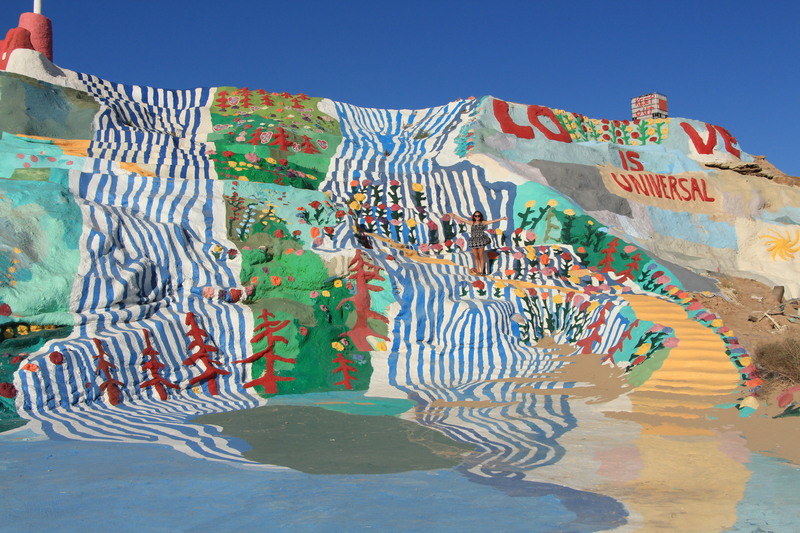 I got the idea to visit Salvation Mountain after seeing Dani and Dominic’s (Big Brother lovers) engagement pictures on Green Wedding Shoes (HERE). I fell in love with the pictures and looked up the location. I was happy to see that it was only a couple of hours away from Palm Springs. 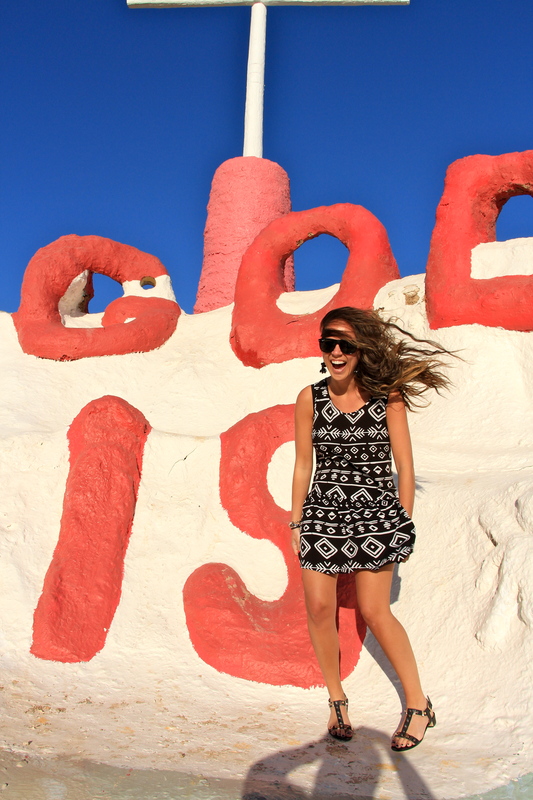 So, one evening while in Palm Spring, we drove down to see for ourselves – and it was awesome! Literally in the middle of no where, a big, colourful mountain with bible verses, inspirational messages and love quotes. It was super windy that night and my dress was flying all over the place, but thankfully we were the only ones there. 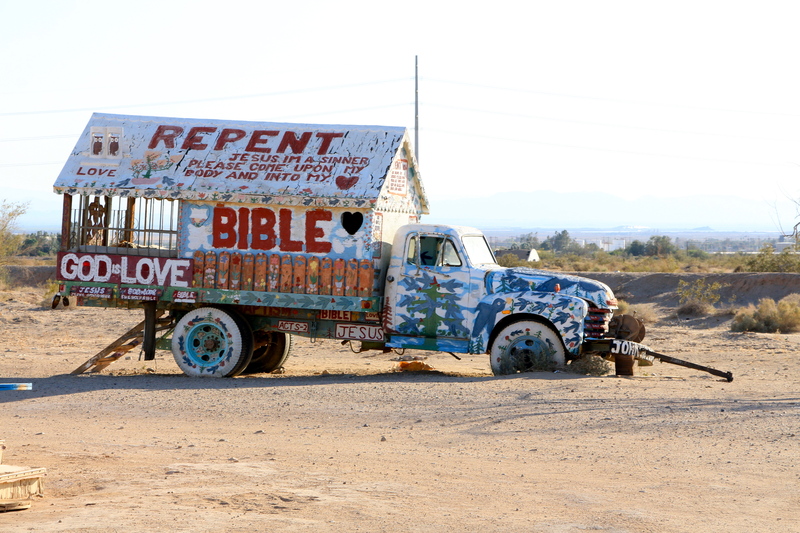 If you are ever in this area, I highly recommend visiting Salvation Mountain! It is just one of those places that make you happy!